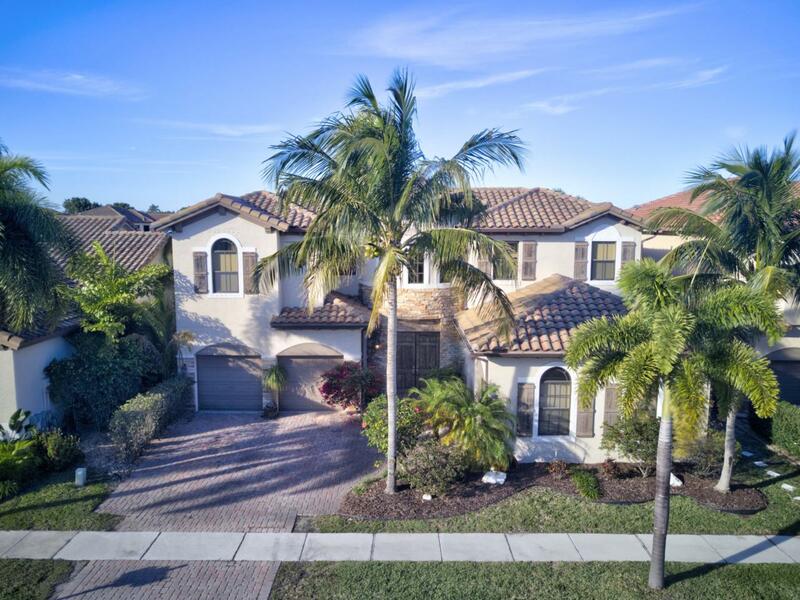 Spectacular lakefront living in this Boynton Beach showplace, featuring a private pool with water feature and spa. Grand entrance opens into a spectacular open floorplan space featuring soaring cathedral ceilings and gleaming marble floors. Fabulous gourmet kitchen with breakfast bar, gorgeous granite countertops, custom cabinetry and stainless steel appliances. Beautiful architectural highlights include updated fixtures and finishes throughout, stunning lighting, and custom woodwork. Spacious owner's suite with tray ceiling and separate sitting room, perfect for a dressing space, home office, or quiet reading nook or media room. Expansive en suite bath includes separate vanity areas, corner tub and large shower. Lovely Lake view pool deck for outdoor cooking, dining and lounge space.